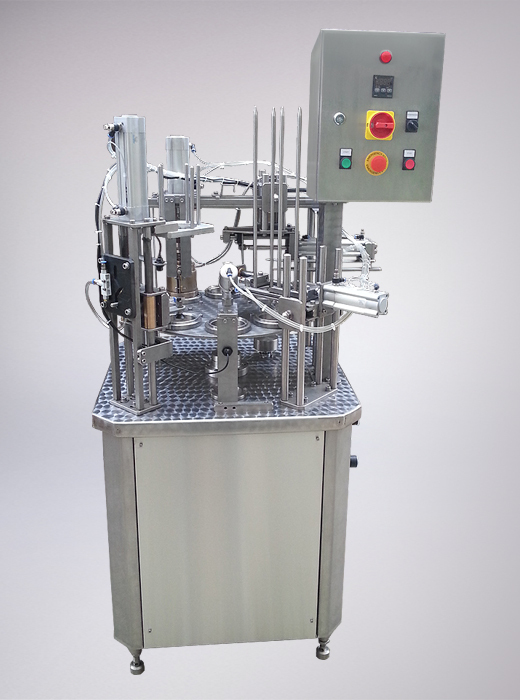 The machine is designed for dosing and closing of dense products (melted cheese, mayonnaise, etc.) or liquid products (milk, yogurt, etc.) in polystyrene packages with covers from aluminium foil. The machine is entirely made from stainless steel. Automatic operations: packages supply, dosing, covers putting, closing and taking out of ready packages. The machine is built for a specific configuration and package size. It can be complete with conveyor and accumulation table.